Sulu Rose Reed was born in Tehran, Iran. Her father Don Rose, an American, was in Iran on business for Reynolds Metals; her mother Gail, a Canadian, trained the Iranian National show jumping team during the family’s stay in Iran from 1972 to 1976. Sulu’s grandfather, Brigadier General W. Denis Whitaker, was also involved in horses as the chef d’equipe of the Canadian Show Jumping team from 1960 to 1982. Whitaker has been inducted into the Jump Canada Hall of Fame as well as Canada Sports Hall of Fame for his many successes including the Olympic Gold Medal at the 1968 Mexico City Games. From the beginning, Sulu’s road was headed toward equestrian sport. Sulu has taken her family legacy and made it her own; as a young rider she rode hunters as well as jumpers. Sulu qualified for the Zone 4 Prix De States junior jumper team in 1988. After a family move from Albany, Georgia back to Richmond, VA, she qualified for the Zone 3 Prix De States in 1989. Sulu continued riding through out high school. After graduating in 1991, she moved to Merida, Mexico to take the job of head trainer at Club Hippico Del Sureste, a riding club in Merida. There she organized shows and updated the approach taken to horse sport in Yucatan as well as teaching many children and adults to ride and enjoy horses. After two years in Merida, Sulu moved back to Richmond where she has been based since 1993. Sulu spent 14 years working at her mother’s farm, The Galloping Field, in Manakin, VA before buying Stillmeadows Farm with Derek. 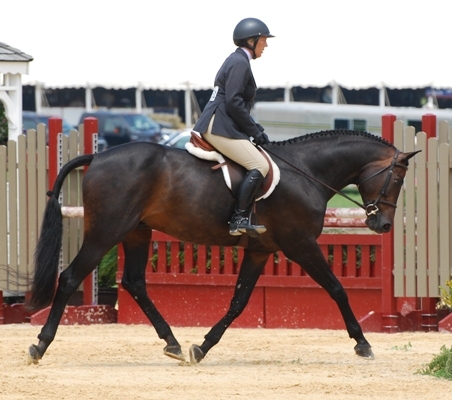 Sulu has had many successes in her 22 years of horse showing including 10 Grand Prix wins. Her partnership with Derek has led to continued success.